Can I put any brakes on my Giant Warp DS1? Thread: Can I put any brakes on my Giant Warp DS1? Can I buy any brakes and will they fit? 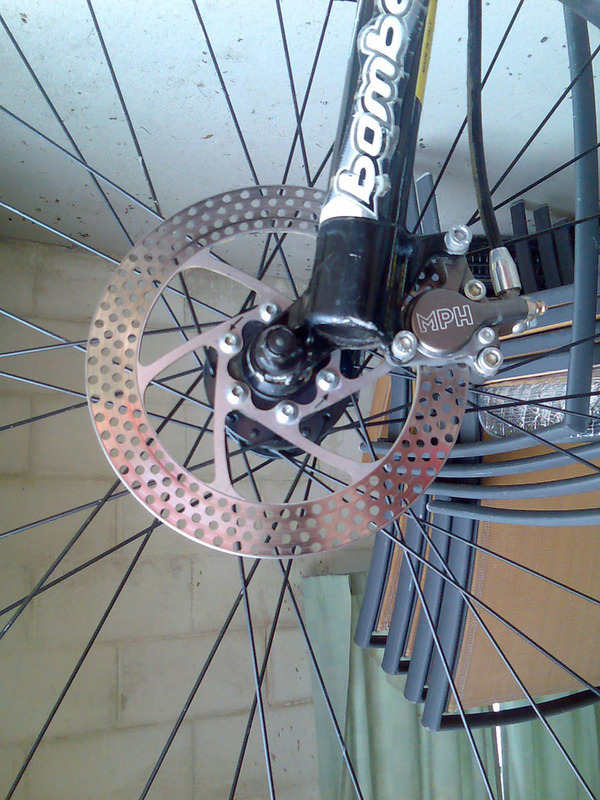 I measured the brake discs, they are 160mm from outside to outside. Does this mean I can only buy brakes that fit 160mm discs? Or can I replace the discs with larger discs? Sorry for the stupid questions but I'm a novice. 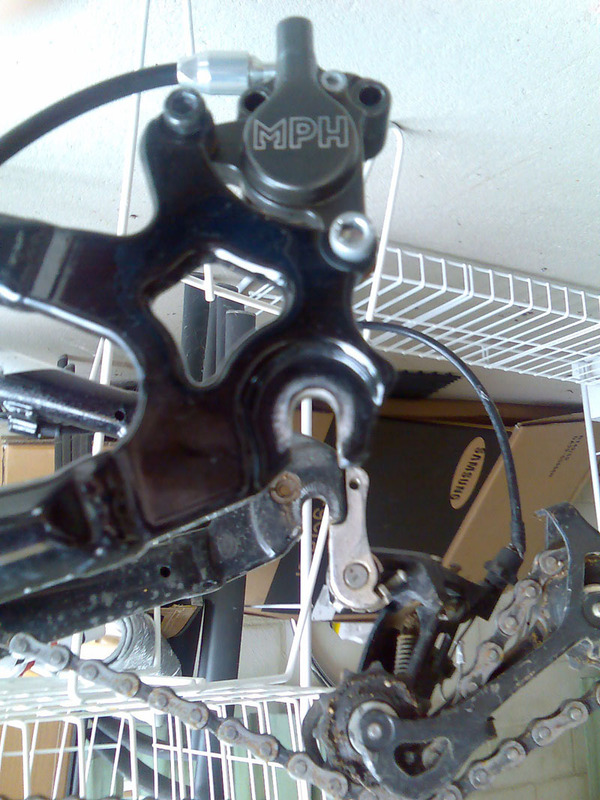 It would be great if you can provide some info on your bike as what kind of brake you are running, pic would be even better. If you are running disc brake, you can just buy another brake and put them on you may need to provide further info on what kind of mounting on the fork, it may be IS(International Standard, 51mm) or PM(post mount, AKA Manitou mount, 74mm). Also if you are running Mechanical brake(cable) or Hydrolic brake. As for the rotor, you can certainly go up the size but it required adapter. Let us know what you have and what you want to achieve, we'll help you sort it out. Ok there's some info on my bike. It's a Giant Warp DS1. It has hydraulic disc brakes. They have MPH written on them. The discs measure 160mm from outside to outside of the disc. I've put a photo of the front and the rear. yeah, that looks like old brake, you can change just about any brake. FYI your fork is IS and frame as well. most brake you buy now a days would come with f/r adapter so you are safe. change the rotor as well, don't use the old rotor. Thanks for much for your help. The brakes I want to get are the ones below. So the discs should go right onto my wheels and the calipers should come with an adapter and they'll fit? So the discs should go right onto my wheels and the calipers should come with an adapter and they'll fit? If those come with the adapter pictured, they should fit without a problem.